WEIRTON — It started the Mary H. Weir Public Library, used to maintain a wildlife sanctuary on Marland Heights and sold close to $60,000 in war bonds and stamps in 1942 and 1943. Its art department donated the Forged in Steel sign at Main Street and Freedom Way and the statue of the girl reading a book, which is at the library. And the club used to hold a lollipop art contest at the community center for grade school children and in 1941 raised $1,420.58 as part of a tuberculosis fund drive. “These are just a small snippet of our rich past, a past we can be proud of,” said Helen Gibson, president of the GFWC Weirton Woman’s Club, in welcoming members and guests who gathered Monday evening to mark its 95th anniversary. “I can’t wait to see what we do in the present and the future,” she added. 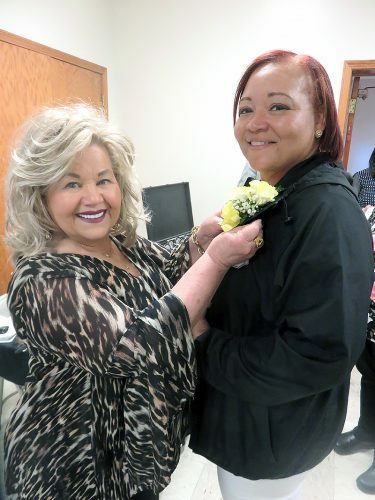 The celebration was held in the fellowship hall at St. Nicholas Orthodox Church and included a meal and birthday cake and ice cream; special acknowledgments; and a portrayal by club member Molly Mossor of Margaret Woodard Guyton, the founder and first president of what originally was the Community Woman’s Club of Weirton and Holliday’s Cove because it was comprised of women from both communities. Later it was known as the GFWC Weirton Woman’s Club. The club was founded Nov. 3, 1923, and federated March 8, 1924. Mossor dressed in character as Guyton, who was from Sistersville, W.Va., and moved to Weirton in the 1920s. She was a schoolteacher who invited seven friends to her home, an “enthusiastic group” that constituted the nucleus of what would be the social and service club. The club’s first yearbook listed five elected officers and four committees — membership, house, program and press. By 1959, however, there were seven elected officers, 47 chairmen of committees, an executive board of 54 and 307 members. The club worked on organizing departments — the literary in 1927, garden in 1937 and art in 1957. “Other departments were organized, and we lost a few, but those have endured,” she said. In November 1924 the club initiated its first chief project — the library, which took 34 years to complete. “The first library shared a room with the Red Cross and was located in the Weirton Social Service building on Pennsylvania Avenue,” she said, explaining the club raised money through plays, tag days, teas and book reviews. “We raised a total of $4,000 which was pretty good for a small group of women. In 1936, the first library building was torn down, and the library moved to a room over the former Cove Theater, remaining until 1938. The first sponsored story hour by our club was held in 1938, when the library was at 3372 Main St. The library became a part of the Weirton Community Center in 1950, and on March 15, 1956, a groundbreaking ceremony was held for the Mary H. Weir Library completed in June 1958,” she said. 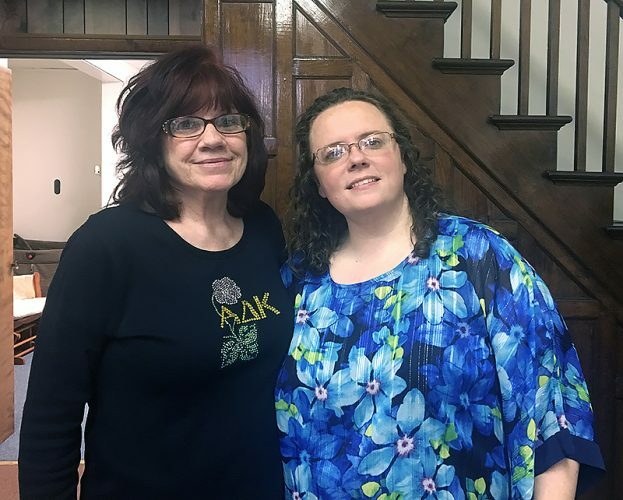 “In reality, the library project has never been completed because the woman’s club continues to support it through donations of books and money and continues to sponsor Story Hour for children,” she said. Some other major club projects included a Red Cross drive when members collected more than $2,000, receiving a citation from Washington, D.C., because of it. In its history the club also pledged $3,000 to the community center, $500 in 1951 to the new city hospital and built a roadside park in 1954-57 and founded the city’s wildlife sanctuary. “The origin of it began in 1938 when the club received a gift of two building lots,” she explained. “The club received $5,000 from the J.C. Williams Fund for completion of the shelterhouse at the sanctuary. Today the sanctuary is not only a refuge for animals but also is for local residents who wish to get back to that peace and tranquility. Like the library it remains a current project,” she said, noting Guyton was 101 when she died in 1995. On behalf of the city and Mayor Harold Miller, 6th Ward Councilman Enzo Fracasso presented a proclamation to Gibson, applauding it as an asset to the community that has provided 95 years of dedicated service. Gibson introduced special guests on hand, including Rik Rekowski, executive director of the Mary H. Weir Public Library; Helen Moran, GFWC WV president elect; Diana Durst, GFWC WV Northern District president; Mary Schwertfeger and Carmel Esposito, co-presidents, Follansbee 20th Century Club; and Sharon Neeley, co-president of the New Cumberland Woman’s Club along with Dorothy Hawkes. Past presidents on hand were: Jo-Ellen Wright, 1996-98; Sharon Neeley, 2004-06; Sandra Robbins, 2006-08; Delores Azzarello, 2008-10; Diana Durst, 2010-12 and 2016-18; Diane Pastoric, 2012-14; and Jeanne Amidon, 2014-16. Shirlee Baltich served from 2002-04. 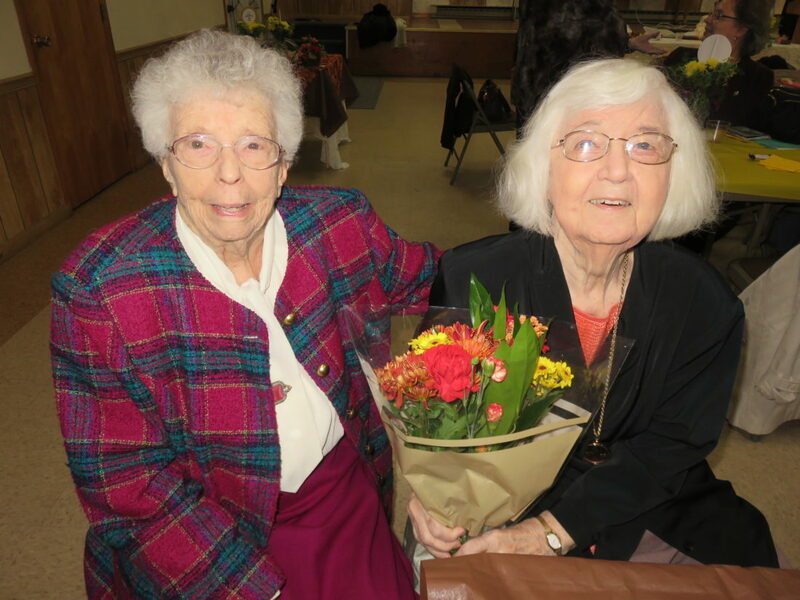 Members who have been a part of the club for the most years were singled out, two of whom were in attendance — Iris Rees, with 68 years, and Ann Parsons, 59 years. Others are Beth DiGregorio, 64 years, and Lora Crow, 61 years. 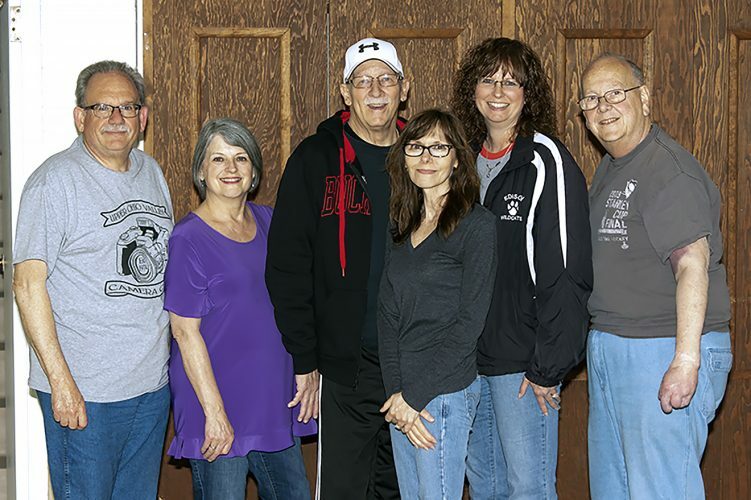 Current officers of the club, aside from Gibson, are Delores Azzarello, first vice president; Carol Village, second vice president; Lea Shirer, financial secretary; Kay Kemplar, treasurer; and Jane Watson, secretary. Chaired by Colleen Mindzak, the hospitality committee included Jeanne Amidon; Patty Kaminski, who did the floral arrangements presented as door prizes; Sandra Robbins; and Carol Bradley. Diana Durst, GFWC WV Northern District president, presented a storyboard showcasing the club’s presidents, the fruit of a research project she described as lengthy but fun. “It’s the story of our life. It’s 95 years of Woman’s Club,” Durst said. “All these ladies did phenomenal jobs, from volunteering for our community and helping with what we did for the community,” she said, also pointing out that the serving table had on display the original silver cutlery set used by the club in earlier times. Jack Giacomel provided musical entertainment during the meal. The club also held its November business meeting.